It is a fact of parenting that we spend lots of money every year buying toys for children but without fail the best toys are always something that was never intended to be played with. A few months ago I did a major pantry clean out and came across a large stack of red plastic cups leftover from some previous party. I set the cups in the hallway as I cleaned out the pantry and came back to find that they had disappeared. 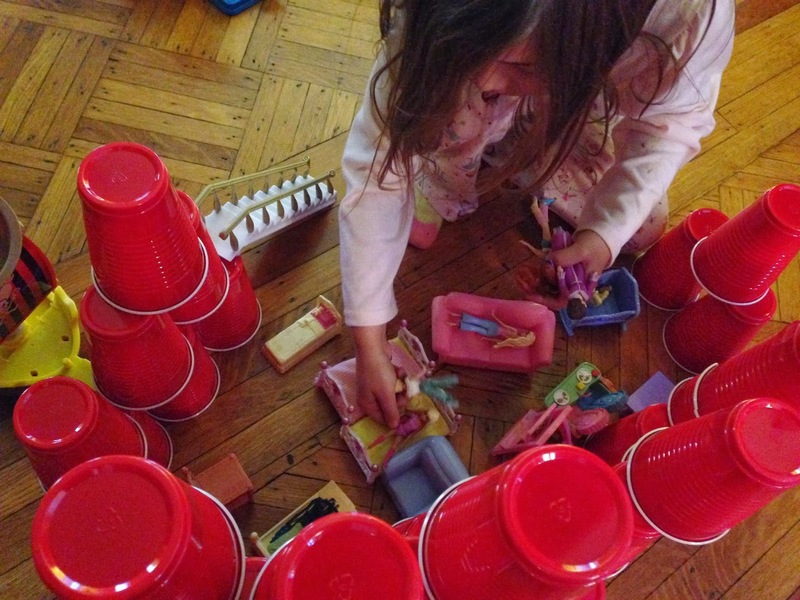 When I looked in the next room I found the girls quietly playing together with the cups. 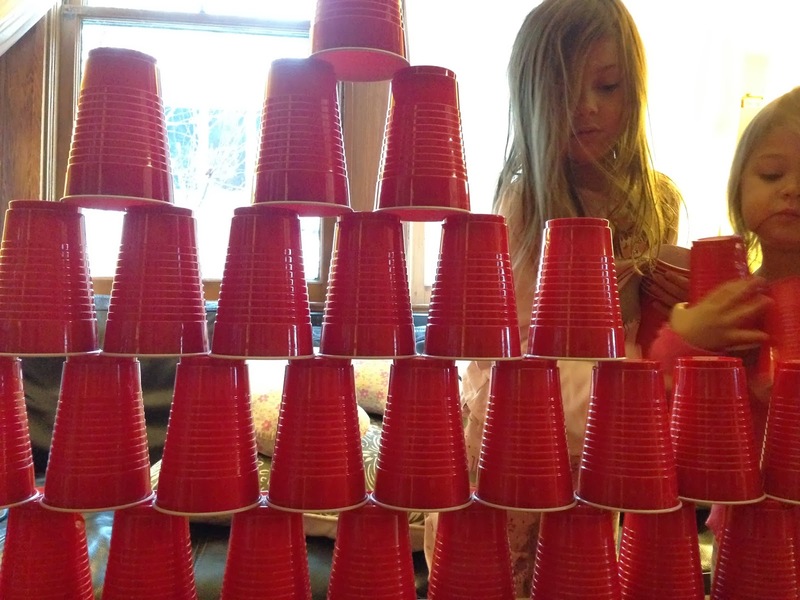 The were stacking them on top of one another building a huge wall of cups. 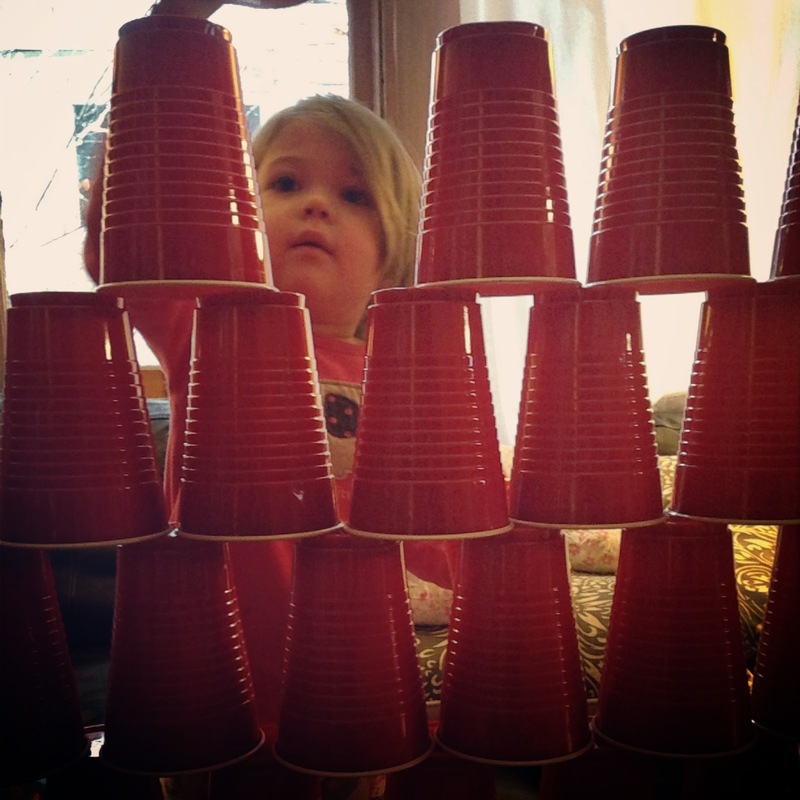 From that point on the cups have become one of the most favorite toys at our house. After months of playing the cups still remain a favorite. The girls love stacking, seeing how high, how long and how big they can stack. Wildly giggling when the cups finally topple. Sometimes pointing fingers and each other for knocking them down. They also like to build little houses and towers for their dolls. The cups make the perfect hideouts for their little characters. 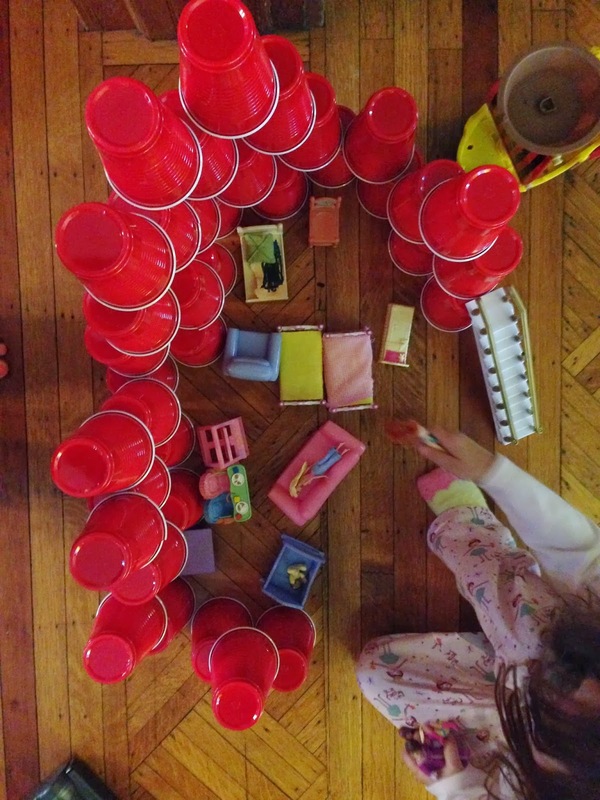 The cups seem to have endless possibilities and I love watching the girls come up with new ways to incorporate the cups into their play. All for the cost of $2.99, they might be one of my most favorite toys too.